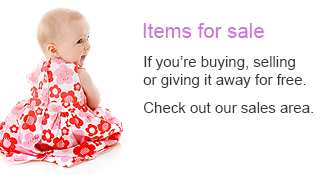 Please be aware; this is purely a listing service. 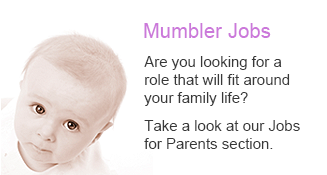 None of the child carers or their qualifications have been checked out or verified by Doncaster Mumbler. Doncaster Mumbler does not endorse or recommend any of these child carers and parents are required to make their own enquiries and check references. Please see our full terms and conditions. Contact us here if you are a nursery, preschool, childminder, nanny or babysitter and would like to be included in this listing. 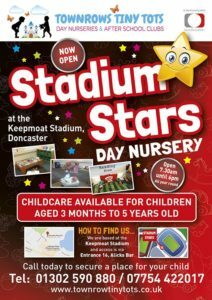 Childcare provision for children aged 3 months to 5 years, located at the home of Doncaster Rovers Football Club, at the Keepmoat Stadium. Part of the Townrow Tiny Tots Day Nursery Ltd Business, we provide childcare provision for children aged 3 months old up to 5 years old. A small setting, with a 12 place baby room and 24 place toddler room. Both rooms are joined with a low level wall, so that both rooms can be seen by all staff at all times. This also supports the transitions for babies when moving up into the toddler room. The baby room provides various areas including a sensory area, changing area, sleeping area, reading area, physical play area and various sensory activities to stimulate the babies brains and senses. The location offers a range of outdoor opportunities including the use of Doncaster Rovers facilities outdoors. Lakeside offers opportunities to take children and babies for outdoor walks around the lake and surrounding areas. Find us at Keepmoat Stadium, Car Park 2, Entrance 16 through Alicks Bar. Ample parking space is available at the site for flexible dropping off and picking up. The site is secured with keycode panels throughout and the building offers CCTV indoors and outdoors. 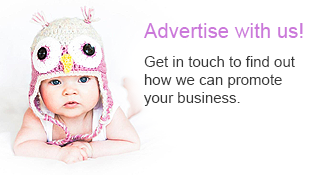 Childcare provision for children between the ages of 0-5 years.